Are you interested in growing your online business? Have you heard about Branded In Ink? If not, let me fill you in on a little backstory about the creator of Branded In Ink, Jessica Hedges. A few years ago I connected with a gal named Jessica Hedges through Facebook. At that time Jessica owned a business she had create from the ground up called The Buckarette Collection. 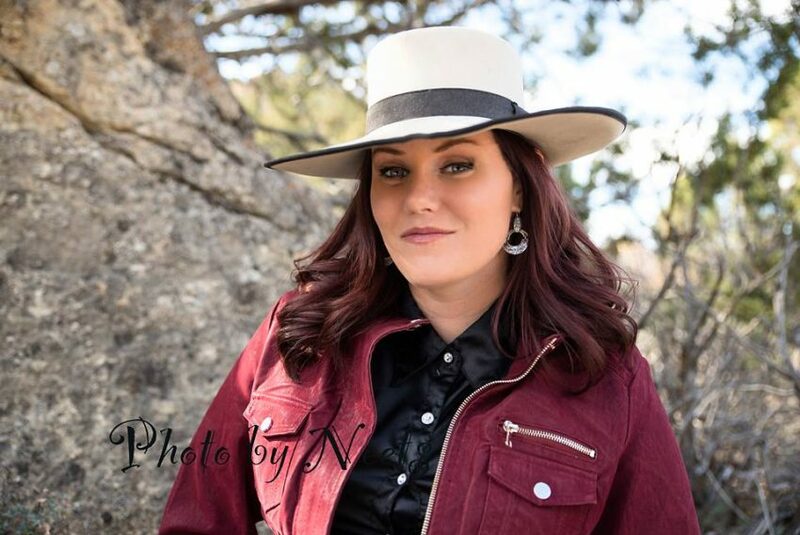 Jessica Hedges sent some prizes from The Buckarette Collection for my ranch rodeo, the Wyo Wild Ride Ranch Rodeo. Through doing so we got to know each other through messages and visiting on the phone. Jessica with one necked and lined out for her heeler. I finally got to meet Jessica Hedges in person a couple years later in Winnemucca, Nevada at the WSRRA Finals. By the time we met, Jessica had built up her business enough to sell the reputable brand she had created. While in Winnemucca, I finally got to hear Jessica Hedges perform some of her cowboy poetry and I LOVED IT! Jessica’s poems are funny, exciting, and they are filled with real life cowboy stories! Jessica is savvy, quick witted, kind, and has loads of personality. It all shines through in her poetry and everything else she immerses herself in. 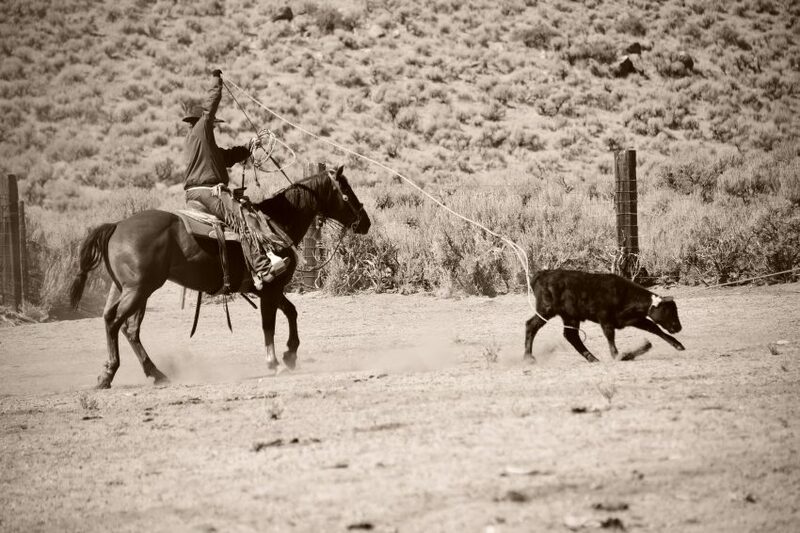 Jessica Hedges heeling a calf at a branding. Photo by Mary Williams Hyde, Buckaroo Country Photography. CS: Please give us some background on who you are, how you were raised, and how it has shaped you into who you are today. JH: I grew up on a ranch in Nevada, married a cowboy, and am now raising two buckaroos-in-training. The last ten years have taken us to ranches in Washington, Oregon, Idaho, and Nevada. Today, we split our time between Harney and Mahleur counties in southeastern Oregon. CS: When did you first start writing cowboy poetry? JH: I first started writing cowboy poetry when I was about 12. 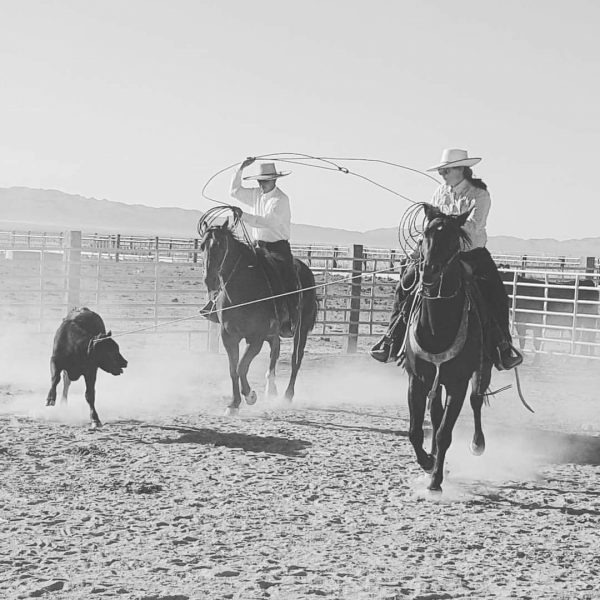 Growing up in Battle Mountain, Nevada, it was an annual family tradition to attend the National Cowboy Poetry Gathering an hour away in Elko. We also listened to a lot of cowboy poetry and music on tapes while feeding, running wells and molasses, or driving to town. After seeing kids like Oscar Auker perform and being immersed in the culture myself, the idea finally occurred to me. 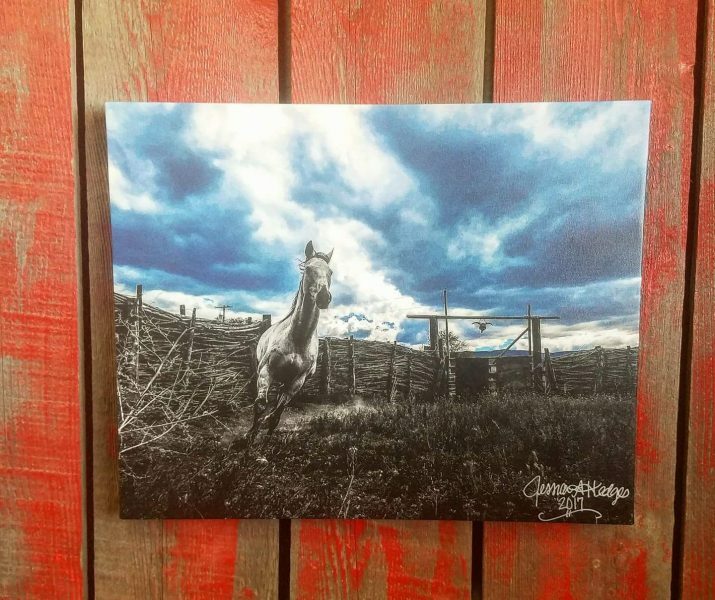 “I live on a ranch, I have stories, I can do that!” I released my first cd at age 20 and it’s been a habit I’ve never been able to shake since. CS: Tell us about Branded In Ink and how it came about. JH: Branded In Ink has really been a passion project turned business. Years ago, I was one of the few that were promoting cowboy poetry on social media. Later, I started a home business out of desperation just months before the birth of our first son. That business, The Buckarette Collection, taught me a lot about telling the story of a business and the opportunities we have to work in rural America. I eventually sold that business, but the burning desire to help small businesses begin, re-brand, and succeed, never did. After a series of exchanges with an author friend of mine, she suggested I share these concepts on a larger scale. Today, Branded In Ink focuses on the telling of stories thru all kinds of mediums. 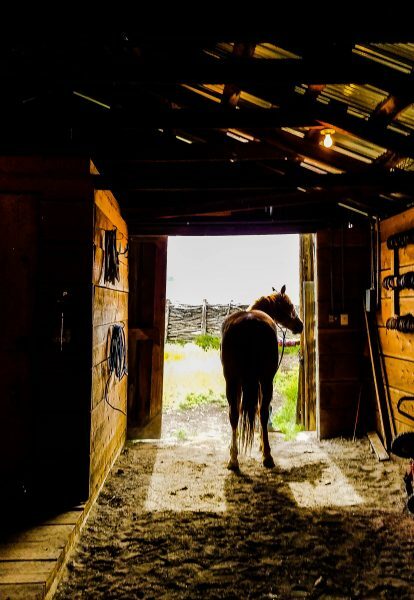 I share our story of cowboys, beef production and a modern ranch family with cowboy poetry and photography. I help rural businesses tell their stories and connect with their clients through training, consultation, and design. Branded In Ink is about the art of modern storytelling and the values of the American West. JH: My plans are to raise my boys, cowboy when I can, and help small businesses in between! 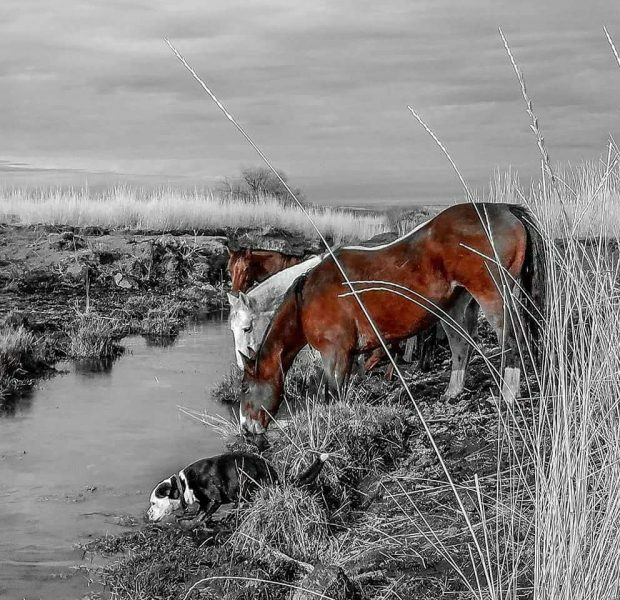 On top of being a ranch wife, a mother, a cowboy poet, a business developer, an encourager, Jessica is also an amazing photographer. One of Jessica’s beautiful photos. 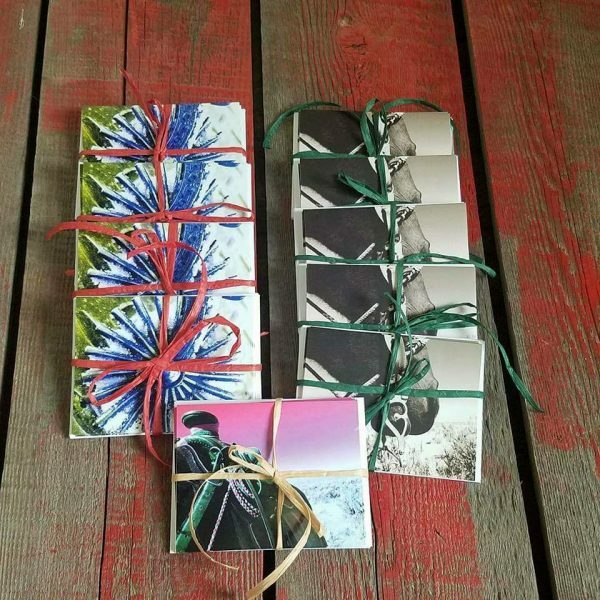 Cards for sale with Jessica’s photography. BrandedinInk.com has Jessica Hedges’ store and folks can reach her for requests at jess@brandedinink.com. To keep up with Jessica Hedges, find out more about Branded In Ink, and to buy her new ebook check out her website and Facebook page.